Before we can start to deal with the actual Star cartography and to put together its building blocks, which are provided by the episodes, movies and official books, to a logical and coherent picture of the Star Trek universe, we still have to clarify a) how these building blocks look like and b) how we can use them to reach our goal. Therefore, in this chapter, the tools necessary for the real stellar astronomy as well as the fictional Star Trek cartography shall be fixed. The cartography as a scientific field which is in the real world very important, too, mainly requires knowledge in mathematics, especially trigonometry and spatial geometry, and in the analysis, interpretation and graphical representation of huge amounts of data. These points are the basic requirements for the Star Trek cartography as well, although this "new" field of course has special demands. At any rate, the application of fundamental scientific methods is the basis for all other work. Nowadays, they can often be carried out very easily with the computer, but the use of rudimentary tools is possible as well. For example, Rick Sternbach, senior illustrator and technical consultant of Star Trek: Voyager, does not need a sophisticated spreadsheet / 3D vector drawing program to calculate the course of Voyager, but marks the points of interest on usual 11'x17' paper. Sometimes, it is indeed useful (especially with maps) to illustrate things directly on a sheet of paper, however, in this project as often as possible the most accurate methods shall be applied, i.e. mathematical calculations and electronic picture and data processing. Another requirements is, of course, the exact knowledge of the data to be processed. In the case of the Star Trek cartography, this is the knowledge of all Star Trek episodes, movies and books. However, this is only a part of the special demands of the Star Trek cartography. Indeed, the real astronomy is of considerable importance; in the end, this projects mostly deals with astronomy, and even if the data basis is fictitious, cartographic and astronomical procedures are used for its evaluation. Beside special material (celestial maps, astronomical data tables etc. ), this also includes three-dimensional spatial geometry and astronomical calculations. A complete list of the used material you can find in the sources. But also the project itself contains several tables and data collections especially created for the Star Trek cartography which could prove useful for the further work. They are available in the section "Resources", while special algorithms of the Star Trek cartography you can find in "Interactive programs". After this general overview over the necessary means and methods, now the most important aspects of the Star Trek cartography shall be examined more profoundly. Because Star Trek usually does not provide us with complete maps, but at most with maps showing a mission-specific, small part of space instead of the whole explored space, we usually have to fall back on the smallest building blocks of the Star Trek cartography, with which we still have to build a complete picture of the universe: the distances given in episodes, movies and books. As soon as we have a large enough number of distances which are reciprocally associated with each other (that means for every location, the distance to every other location must be known), we can create a map based on this distances. However, the issue isn't that easy because unfortunately, we never have a complete collection of distances and our knowledge is always sketchy because of the minor significance of cartography in Star Trek. With such an open web of figures unambiguous maps are impossible at any rate, therefore we must rely on assumptions, speculations and logical premises, the second-most important corner stone of the Star Trek cartography, and have to accept that there will never be a unambiguous, not interpretable picture of the Star Trek universe, even if e.g. an official technical manual "officialises" one of the infinite possibilities some day. The application of distances as basis for the cartographic work is even more difficult because of the fact that the sources usually do not provide us with direct figures. In fact, there are 4 different ways to determine distances from official sources (episodes, movies, books, electronic media), which are introduced in the next paragraphs. A nearly complete collection of all distances directly given in the series, movies and books or determined by the shown methods you can find in the resource Star Trek distances. In general, the episodes and movies are very thrifty in the use of distances in dialogues, on computer displays etc. ; only Star Trek: Voyager includes direct distances to object situated near the route of the USS Voyager more often. Nonetheless, there are figures for nearly all distances between the important planets (i.e. the core planets of alliances and empires) thanks to some key episodes, but also official documentation like the ST:DS9 Technical Manual. Distances listed in such books or mentioned in dialogues are usually given in the popular scientific unit light year (ly), in some cases, however, also the astronomical unit (AU) and the parsec (pc) were used. 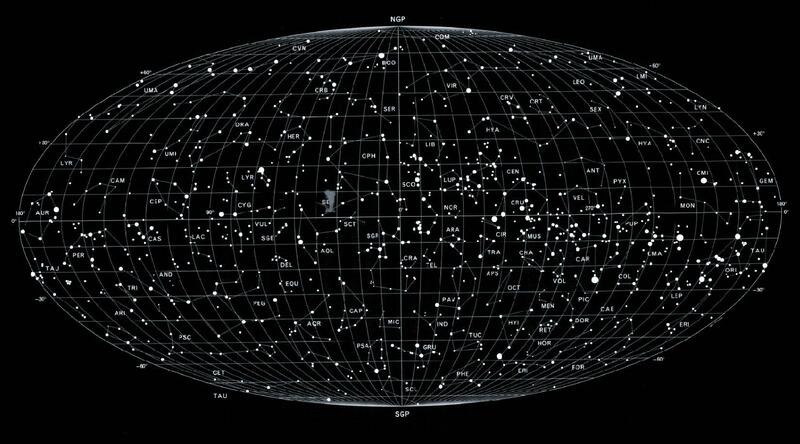 Although the direct application of distances is the fastest and most comfortable way to get information on star positions and distances, also in these cases a mathematical conversion is sometimes necessary because naturally all distances must be available in the same, standardized unit for the evaluation and visualization in maps (in the real-life astronomy, the parsec, on Star Trek and therefore in this project the light year). Mainly in Star Trek: The Next Generation, but partly also in the other series and the movies one can find an important indirect type of distance figures, which is closely associated with the interstellar voyages with a starship: the specification of warp factor and time. A typical example is that we know the current position of a starship like the USS Enterprise-D and we get to know in the dialogue, in the The Next Generation preferably with Lt. Cmdr. 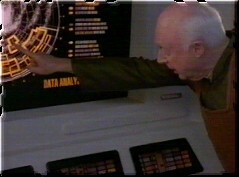 Data, the necessary warp speed at which the ship reaches a goal in a certain amount of time. Therefore, absolute requirement for this method is the knowledge of starting point and destination beside the time and velocity because otherwise, the figures are useless. If all values are given, the determination of the distance is quite simple, since we only have to apply the mathematical standard formulae (s=v*t) to calculate the distance. However, it has to be taken into consideration that on Star Trek, velocities are never given in km/s, but in warp factors or impulse fractions and therefore their is the problem to convert these special velocities into SI units. Fortunately, the ST:TNG Technical Manual and Star Trek Encyclopedia include tables of the multiples of the light speed (c) or the km/s certain warp factor or impulse fractions correspond to. Hence, in most cases the calculation should not be a problem. Unfortunately, sometimes it isn't that easy simply to search the corresponding km/s value from a table. In some cases that distances isn't given directly, but is described by phrases like "at high warp" or "at maximum warp". Concerning indefinite expressions, it is usually only possible to use a velocity range and therefore to calculate only a distance range (minimum and maximum distance), however, there is a possibility for a direct determination if "maximum warp" is mentioned. We know the speed limit of quite a lot starship classes, although we have to differentiate between highest sustainable speed (without time limit) and maximum speed (only for a fixed time; usually 12h), depending on the given time. Another problem is that newer classes like the Defiant, Sovereign and Intrepid class have maximum speeds not mentioned in any official table. In these cases we can only use semi-official approximate values which are listed in the following table. which, however, does only produce the exact factors of the light speed listed in the table until warp 9.6. Use the interactive program Warp-time-distance for the automatic calculation of distances on the basis of a time and whole or fractional warp factors until warp 9.6. Of course, it is rather improbable that a destination whose distance has to be determined is a "real" star, however, it has quite often been the case, especially in the original Star Trek series. On the whole, 34 stars have been mentioned in Star Trek in the dialogue or were part of the action as shown locations. If we actually have a real star, we then only have to look up this star in a stellar atlas, and hopefully we will find a distance figure. However, a partly uncertainty remains because unfortunately, due to different or inaccurate determination methods there is a controversy about the exact distance of some stars. Especially the most often used method, the determination of distances by the star parallax (the angle under which one would see the distance Earth-Sun from the star) becomes more and more inaccurate with increasing distance of the star, until the error deviation exceeds the actual distance and the measured value is therefore useless. The big problem concerning this issue is, that the parallax determination using conventional, earth-bounded telescopes produces large error deviations already with low distances, because these devices can only measure angles accurately up to some thousand arc seconds ("). Therefore, the deviation with 30 ly is 7%, with 150 ly already 35% and with 350 ly even 70%. Exclusively because of the HIPPARCOS mission we have nonetheless relatively accurate distances for all 34 stars. During this mission, which lasted from 1989 to 1983, a satellite measured outside Earth's atmosphere and its interferences the distances to the most important stars with an unequalled precision. Since 1997, the HIPPARCOS catalogue is available, from which the distances of all real stars listed in this project were taken. An overview of the real stars mentioned in Star Trek, their parallaxes and distances you can find in the table The positions of the real stars. It happens relatively seldom that in Star Trek maps of certain galactic regions are shown on screen, and almost never a map of the entire Galaxy is displayed. Often the problem arises that the maps, which are mostly displayed on computer screens, are much too small, indistinct and blurred so that they are virtually useless. Nevertheless, there is a considerable number of known maps from Star Trek: Voyager, Star Trek: Deep Space Nine and official manuals like the ST:DS9 TM, which we can use for the cartographic analysis. The actual measuring of distances is relatively easy, however, there are some restrictions and problems which have to be considered first. 2. Measure either the length of the connecting line between the starting point and the destination directly (if possible) or construct a right-angled triangle, whose adjacent leg length and counter opposite leg length you measure and subsequently calculate the length of the hypotenuse by the Pythagoras theorem. 3. Multiply the pixel length by the px/ly ratio of the map to get the searched distance. If there isn't any scale figure on the map, there is sometimes nonetheless a possibility to get the px/ly ratio, namely in those cases, when the map includes distances whose length is already known. The ratio can then be determined by measuring the line length or constructing a right-angled triangle and using the Pythagoras theorem. Afterwards, the px/ly ratio can be used to convert the pixel length into the searched distances, how it was shown in the above calculation and it is shown in the following second example. 3. Finally, multiply the pixel length by the px/ly ratio of the map to calculate the distance of Romulus from the Neutral Zone. A last piece of advice concerning the derivation of distances from maps: maps of the real Galaxy are only limitedly useful for the measurement, because they are a two-dimensional reproduction of the real positions of the stars in the three-dimensional space. Hence, the shown distances are always only the minimum distance to Earth, and it is very probable that the considered star is much farther away because most of them are not located in the same plane as Earth. Three-dimensional maps, on the other hand, can't be used at all for the determination of distances without considerable calculation efforts. Numerous maps from both real astronomy books and Star Trek episodes and documentations, which you can derive distances from, you can find in the maps archive. Beside the already given positions of stars and planets in official maps it is possible to derive further fixed points from the episodes, movies and official documentation by regarding the 34 real stars. We have already used these special locations in the last paragraph to determine their distances to Earth, in order to use the various coherent distances to get to know their spatial situation. Now, we will take a step forward and calculate the real position of those stars in the three-dimensional space. Of course, this is associated with considerable efforts. 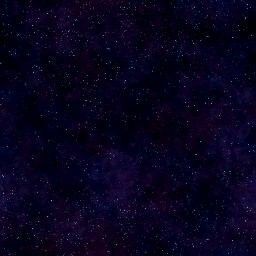 However, these efforts will take us much closer to our goal of a Galactic map that is realistic, detailed and coincidentally confirmed by most of the episodes, because we know enough real stars to use them as a "basic framework" for all fictitious components of the map. To determine the real, absolute positions of the stars in the Galaxy it is inevitably necessary to deal with the galactic coordinate system very intensively, which is a very powerful, but rather neglected astronomical system. With the increasing exploration of our Galaxy and its structure, the galactic coordinate system has been developed by the astronomers because of their desire to learn more about the concentration and distribution of the stars in the Milky Way. It is considerably ponderous to use the conventional coordinate systems (like the equatorial system) for this special field of the astronomy called stellar statistics, because for the determination of the real situation of the stars in space, and not at the sky, you always need the distance of the star beside its right ascension and the declination. On the other hand, with galactic coordinates, which refer to the Milky Way, additional distance figures are not needed. The reason for this peculiarity is that the galactic coordinate system is the sole system which is not based on earth-bounded (and partly distance or time dependant) celestial coordinates, but which uses points of superior systems as definition parameters. The reference plane or basic circle of this coordinate system is the Galactic plane (the symmetrical plane of our Galaxy), the Galactic center is used as reference point. Simultaneously, the Galactic core is the longitudinal zero-point, that means the direction towards the Galactic center has a galactic length of 0�. The galactic longitude l is the counterpart to the right ascension (the azimuthal / longitudinal angle) and increases in the same direction (counter-clockwise) in a degree-based system from 0� to 360�. The second necessary coordinate is the counterpart to the declination (the elevation angle), the galactic latitude b, which decreases from the Galactic north pole with b=90� and the Galactic plane with b=0� to the Galactic south pole with b=-90�. To calculate both galactic coordinates from the equatorial coordinates, at least the coordinates of two fixed points are needed: the Galactic center and the Galactic north pole. Both values are currently only available for the equinox (the astronomical epoch) 1950.00. The Galactic center has the right ascension 17h42.4min and the declination -28�.92, and the Galactic north pole has the right ascension 12h49min and the declination +27�.4. 1. We look up the equatorial coordinates of the star. Vulcan has the right ascension 04h13min and the declination -7�.44'. 2. The right ascension has to be converted from time-based coordinates (hour h, time minutes min and time seconds s) into degree-based coordinates (Degrees �, Arc minutes ' and Arc seconds ''), which are used for both the declination and the galactic coordinates. For this purpose, we first divide the time seconds (if given) by 60 and add the hours in order to get a right ascension only in hours (as a decimal number). For Vulcan, this leads to (13/60)+04=4.h21667. To convert the time-based angle into a degree-based angle, the result has to be multiplied by 15 (1h=15�): 4.h21667*15=63�.25. For Vulcan, this results in sin b=-0.6136 and therefore b=-37�.85. For Vulcan, we get sin l-33�=-0.9759 and therefore l-33�=167.4� and finally l=200.4�. With these formulae given in specialist literature, the problem arises that they oddly not always produce the right values. The galactic latitude is always correct, however, the galactic longitude deviates with half the values by 0� till 200�. Of course, this is unacceptable, so that a second method for the determination of galactic coordinates becomes necessary, in order to get comparison figures for the calculated values. This second method uses diagrams already prefabricated by observatories, which graphically relate the equatorial to the galactic coordinates. Therefore, the searched coordinates can be determined very easily and quickly. The coordinates are also always correct, however, they are quite inaccurate (deviations up to +/- 5�). The example chart on the left-hand side is a special case of such a diagram; it relate the star constellations to the galactic coordinates and is therefore particularly graphic. What can we now do with these galactic coordinates? If you take a look at the fixed points of the galactic coordinate system - north pole, south pole, Galactic plane, it becomes clear that in this system, the stars are quasi projected on a Galactic sphere, whose equator is the Galactic plane. We can now put Earth in the center of the Galactic sphere, because she is located very near to the Galactic plane and we have fixed all definition parameters (Galactic north pole, zero-point) by our earth-based equatorial system. If we draw the fixed points, Earth and a star whose position is searched in a model of the galactic coordinate system, we see that the position of this star relative to Earth can be determined with simple trigonometric calculations. If we look at the Galactic plane "from the top", rotated in that way, that 0� galactic longitude are the exact vertical intersection line of the Galactic equator, then all stars with a positive relative x coordinate are located right from Earth on the plane, with positive relative y coordinate below Earth on the plane, and with positive z coordinate (spatially) above Earth and the Galactic plane. Hence, the star in the above example has positive x,y and z coordinates. With repeating the described procedure for a sufficiently large number of stars and transforming the relative coordinates according to a fixed pixel-light year-ratio, galactic maps can be created very easily. A complete collection of all real stars mentioned in Star Trek and their distances, galactic coordinates and calculated absolute coordinates in several systems you can find in the table The positions of the real stars. Now that you have learned the basic knowledge of the Star Trek cartography and know how to apply the different tools and methods, the actual journey through the Star Trek Galaxy is about to commence.